Please provide your registered mobile number to access your account. Not a #WOW member yet? SIGN UP Now! Sign up now to make booking the perfect venue truly effortless. Save Time, Money & Book hassle-free. Already a #WOW Member? LOGIN here! 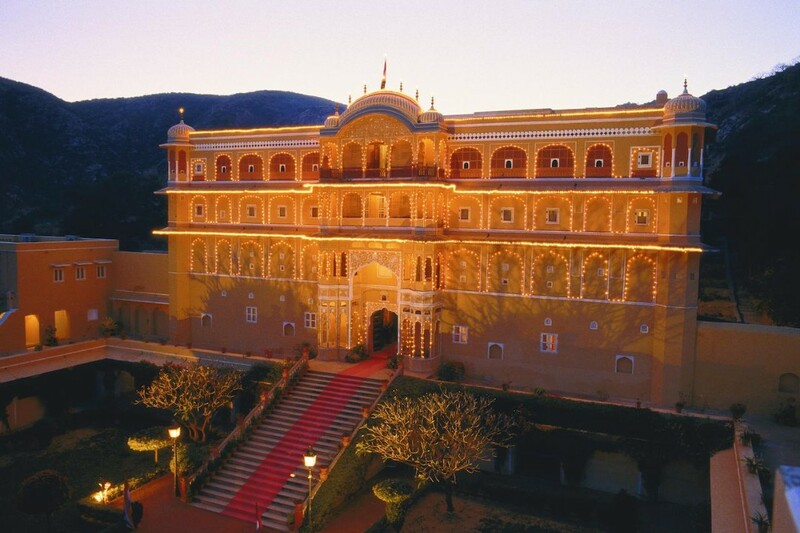 Destination wedding venues in Jaipur can be a perfect place to get betrothed. As a gateway to royal Rajasthan, Jaipur is the most flamboyant and culturally rich city. This architecturally opulent city of India is one of the most sought after destinations for weddings in India. Replete with options for amazing wedding venues that make sure each wedding is unforgettable in a pleasant way, Jaipur is considered to be one of the romantic cities where lovers from throughout the world come to celebrate their union at some of the best luxury wedding venues in Jaipur or 5 Star wedding venues in Jaipur. 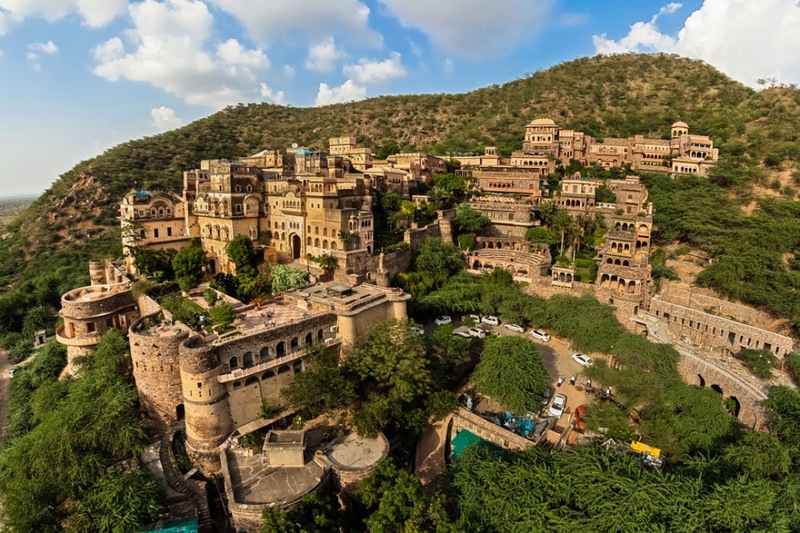 Known as the Pink city of India, this royal city of Rajasthan is rich in venues like 5 Star Hotels in Jaipur, fabulous palace & fort venues in Jaipur, wonderful havelis and many other royal venues for the weddings. Wedding planners in Jaipur have the best knowledge and expertise to host a wedding as romantic as the city. Known for its history and rich culture, when booking a banquet hall in Jaipur, expect nothing less than a royal affair. You can also visit some of these famos local attractions – Amer Fort, Hawa Mahal, Jantar Mantar, City Palace, and Pink City Bazaars. Professional wedding and party planners in Jaipur help you in creating the day of your dreams with a royal touch. This holding true also for the corporate events in Jaipur, offering multiple grand spaces and services to organize special events like celebrations, gatherings, birthday parties to all kinds of corporate events in Jaipur. One can use Indian Rupees as a mode of exchange and people in Jaipur speak Rajasthani, Dhundhari, Marwari, Hindi and English language for communication. We at WOW Venue have shortlisted the10 best wedding venues in Jaipur to host the most stunning events at. An epitome of world class hospitality and class. Fairmont Jaipur in Kukas is an ode to the pink City through awe inspiring Mughal and Rajput era architecture and splendid decors. It is one of the stunning wedding venues in Kukas, which offers luxurious and regal ambiance to conduct a grand celebration. Nestled amongst the majestic Aravalli hills, this destination wedding venue in Kukas reflect a perfect blend of traditional Rajasthani décor and modern amenities. Combining splendour, rich history and captivating decor to celebrate all weddings impeccably and perfectly. Amidst the other 5 Star wedding venues in Kukas, this luxury wedding venue in Kukas has spacious outdoor and indoor spaces for conducting big and small events. Fairmont as one of the event venues in Kukas has the city's largest convention hall and also features expansive lawns along with other smaller banquet halls in Kukas which have a combined capacity to seat up to 3000 guests. The venues at Fairmont Jaipur are planned with an idea to meet the needs today as well as upcoming generation’s weddings & meetings, when required to book a banquet hall in Kukas. Providing 60,000 square feet of meeting space and function rooms.The hotel’s meeting venues include flexible meeting rooms with natural light, dedicated boardrooms and a magnificent Grand Ballroom for all corporate events in Kukas. Well-trained chefs provide the best of cuisines from all over the world for all events and occasions. Located on the Delhi Jaipur highway in the historic city of Jaipur, popularly known as 'Pink City', Shiv vilas resort in Kukas is set amidst the amazing backdrop of Aravali hills, where the majestic palace is magnum opus of architecture. One cannot go wrong with this choice of a destination wedding venue in Kukas under the haven of royalty and one among the 5 Star wedding venues in Kukas. Scattered over 22 acres of land, providing scenic view all around the royal Pink City this hotel can accommodate 2500 guests. This luxury wedding venue in Kukas is an ideal hotel in Jaipur which represents history in a unique manner. Suited for weddings and customs affair this is resort provides breath-taking views right from the entrance itself. Among the several other wedding venues in Kukas, Shiv Vilas have beautiful and spacious outdoor lawns and banquet halls in Kukas that every wedding can take place in a unique and extraordinary manner. 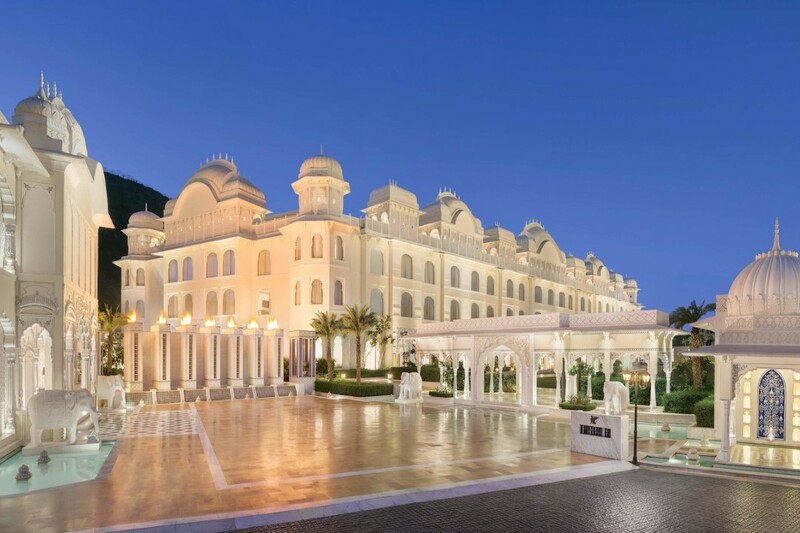 In the beautiful hills setting, recreating the magnificence of princely Jaipur, this royal resort has event venues in Kukas with facilities best suited for high profile events like conferences, business meets, award ceremonies, private parties, grand weddings to corporate events in Kukas. As a masterpiece of architecture, Shiv Vilas Resort is an ultimate magnificence built on ”Palace Theme” with world class modern hi-tech amenities. Book this banquet hall in Kukas to get married in this old-world style beautiful wedding venue, and the result would be nothing short of magical. An urban oasis in the historic walled Pink city of Jaipur, nestled among the Aravalis in the village of Samode, Samode Palace in Tehsil Chomu is where dream weddings come true. 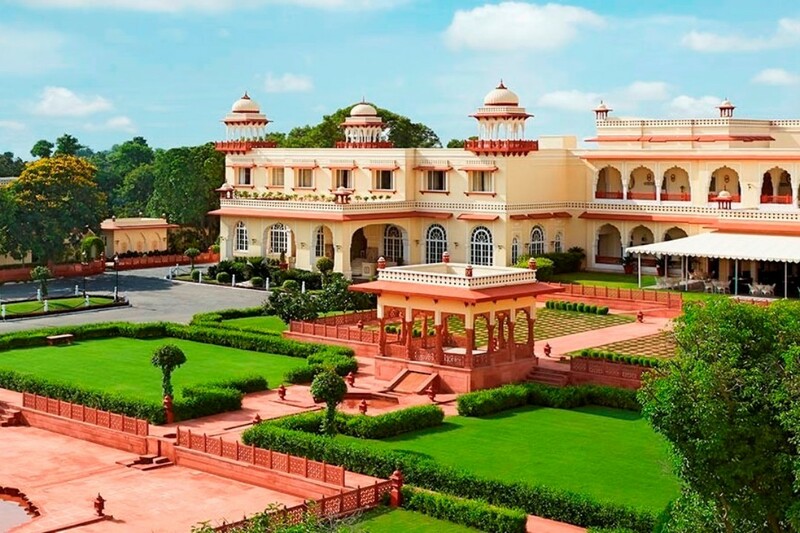 Of the many picturesque locations to get married at Rajasthan, Samode Palace is one such amazing destination wedding venue in Tehsil Chomu that can accommodate every aspect of your wedding. A splendid example of regal Indo-Saracenic architecture that is 475 years old, is still occupied by the descendants of rulers of Samode years ago, who have converted their home into a luxury hotel. Providing the best event venues in Tehsil Chomu as an ideal blend of Indian and Mughal style spectacular set up, seeped in history and age old traditions of impeccable hospitality. Their banquet halls in Tehsil Chomu being the best venue to host corporate events in Tehsil Chomu or when looking for wedding venues in Tehsil Chomu, where the celebrations are underlined at all times by contempory luxury and signature service of the Samode. Exclusive and discreet, this luxury wedding venue in Tehsil Chomu, Samode Palace has been host to royalty, celebrities, artists, and the discerning traveller. As one of the 5 Star wedding venue in Tehsil Chomu, weddings and celebrations are nothing less than a royal Indian wedding. Accommodating up to 800 guests they have various lawns, banquet halls and poolside venue where weddings can turn into a gala event.Book this banquet hall in Tehsil Chomu where the royal banquet set-up in the opulent darbar hall and the picturesque terraces Samode Palace is a perfect place to dig in for your nuptial ceremonies and wedding events. A great example of Indo-Saracenic architecture set amidst 18 acres of landscaped Mughal gardens is a stunning piece of Rajasthan’s heritage, built in 1745, the Taj Jai Mahal Palace. This Palace is one such venue where the excitement of nuptials knows no bounds. 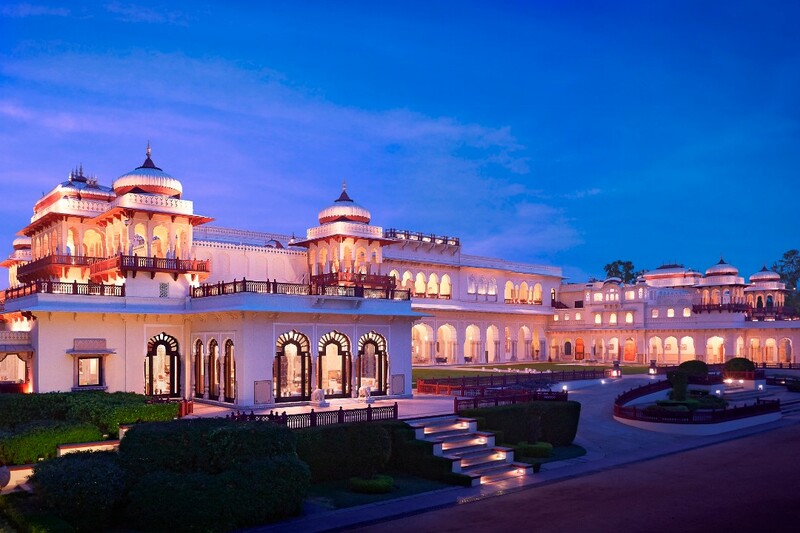 Hence its one of the most sought after venue for a destination wedding in Jaipur. Marriages add a golden chapter as memories lasting forever.when hosted at this royal Indian weddings venue. Taj Jai Mahal Palace as a venue for palace fort weddings in India has been the residence of three Prime Ministers of the princely state of Jaipur.When looking for a destination wedding in Jaipur, keep in mind of this luxury five-star Taj heritage hotel equipped with all modern-day comforts, which has been painstakingly restored and recently refurbished. The splendid Taj Jai Mahal Palace was built in 1745 A.D., wherein the verdant lawns are a reason alone to have a royal wedding in Jaipur. The impressive Mughal gardens are huge enough to host a wedding for upto 3000 guests as a wedding venue In Jaipur. While there is a space in the palace for a banquet hall In Jaipur to host events, the lavish Mughal gardens guarded by centuries old trees is nestled within the luxurious ambience of the palace. 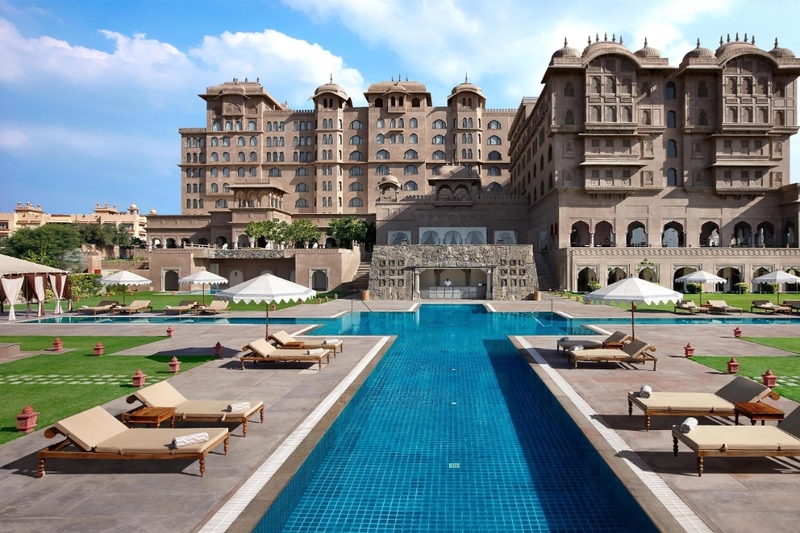 The palace hotel gives a taste of the best of Rajasthani heritage and culture, and also has several signature experiences aimed at pampering their guests. Surrounded by palaces of top attractions, such as Amer Fort, Jal Mahal and Hawa Mahal and set amidst the Aravalli hills, JW Marriott Resort & Spa on the Jaipur-Delhi Highway is a great venue for weddings and events. Including a 11,000-square-feet pillar-less Ballroom, along with their indoor and outdoor banqueting event venues in Jaipur-Delhi Highway of over 52,000 square feet, featuring multi-functional event spaces equipped with state-of-the-art audio-visual system. 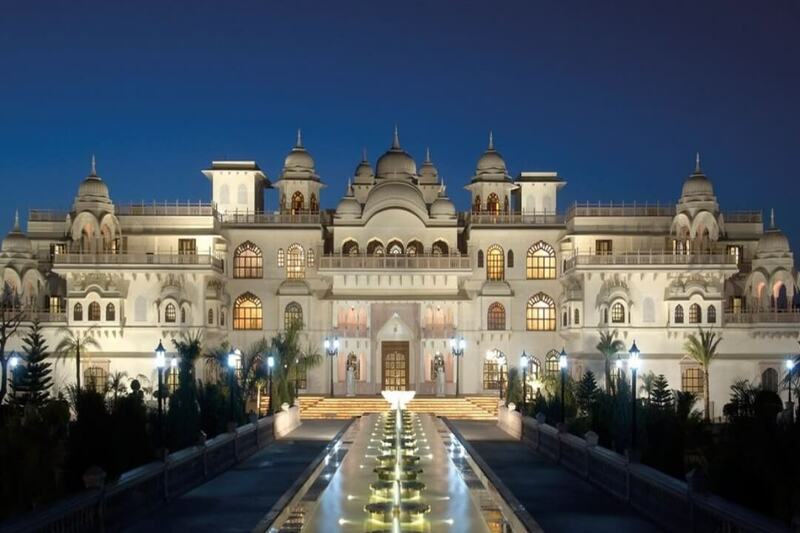 This destination wedding venue in Jaipur-Delhi Highway, inspired by the palaces around the resort,as one of the luxury wedding venues in Jaipur-Delhi Highway offers a perfect blend of traditional design and contemporary flourishes. Paying homage to majestic Rajasthan with intricate Jaali and Tikri work, stunning traditional architecture and modern elements. Of the very few 5 Star wedding venues in Jaipur-Delhi Highway, JW Marriott Resort & Spa is one of the most cherished wedding venues in Jaipur-Delhi Highway for weddings in India where rituals are celebrated with great joys. They have 5 banquet halls in their Jaipur-Delhi Highway venue to make all ceremony and celebrations an enchanting memory, accommodating upto 2000 guests. To book this banquet hall in Jaipur-Delhi Highway means unforgettable experiences through their impeccable service, culinary memories that honor the region’s flavours brought to life by their master chefs, or exciting experiences for guests of all ages to discover Jaipur’s rich history and culture. Hosting corporate events here in Jaipur-Delhi Highway also offers flawless functions and moments enriched with experiences. Many Locations, More Venues, Better Choices..! Save upto 30% on all bookings. © 2018 WOW VENUE | All Rights Reserved.